This convenient classroom pack of brilliant semi-moist watercolors comes with 36 paint sets and a storage box to help keep you organized! 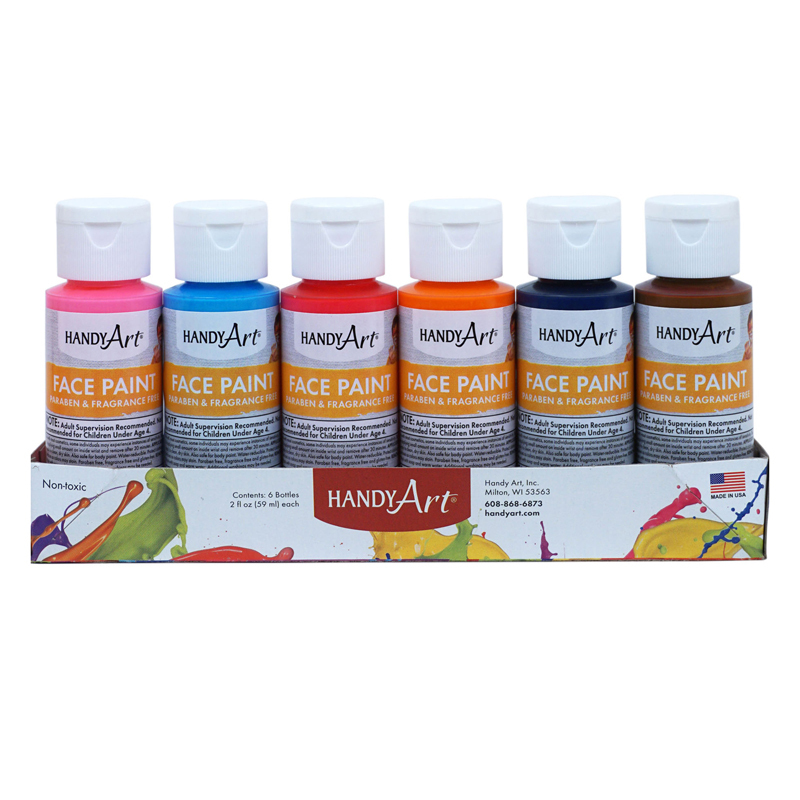 Each paint set includes 8 vibrant colored pigment water soluble paint colors. 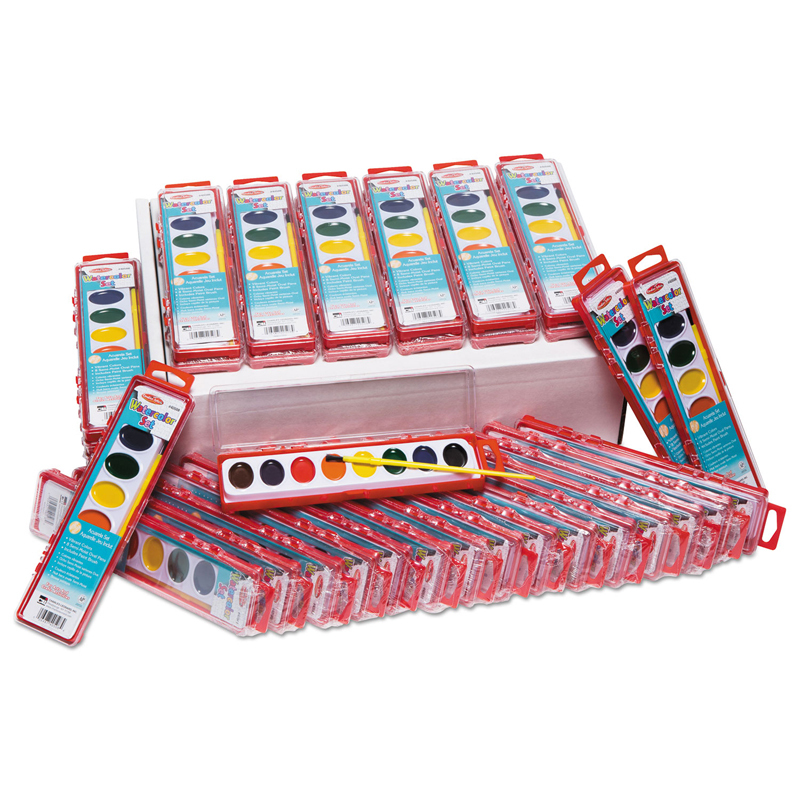 Ideal for any student, teacher or adult who wants to experiment with different watercolors and is looking for a great value. AP certified non-toxic and conform to ASTM standards. 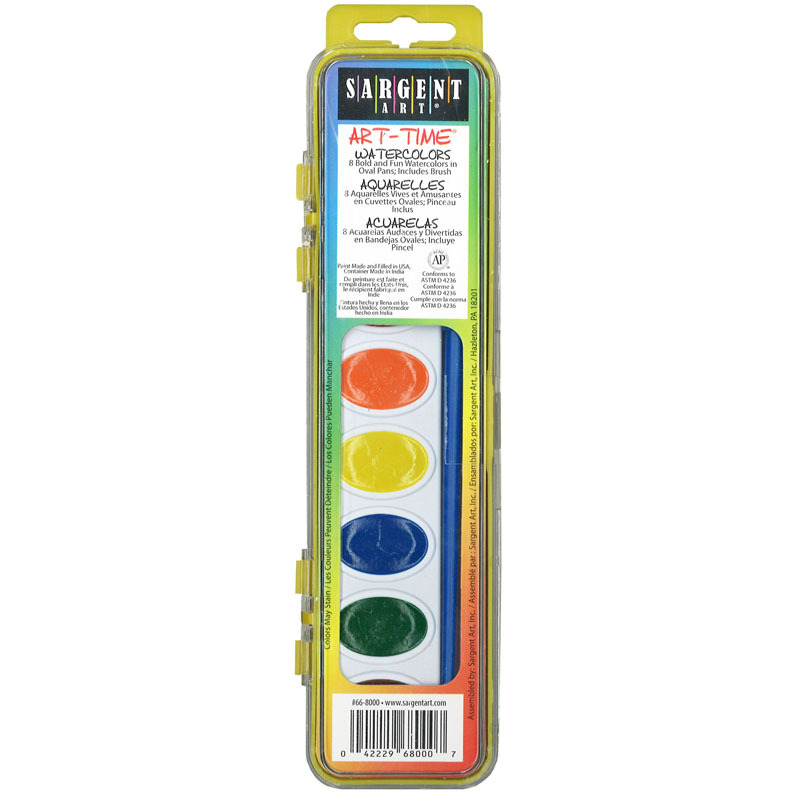 The 8 Asst Water Color Paint Set 36/stclasspack can be found in our Paint product category within the Arts & Crafts.